It’s one of the most popular streaming channels of all; Netflix, a viewing revolution that has given us all a chance to watch what we want, when we want. With a choice of great movies and fantastic TV series, Netflix has opened up our viewing capability like never before, and is cheap too. However, did you know that there are some countries in which you cannot access Netflix and other similar channels? 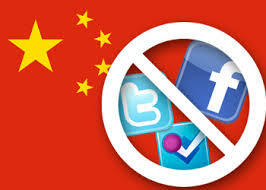 China is a good example of a country where the internet is heavily censored. For those of us who travel abroad regularly this can be a problem, but fortunately there is a way around it. If you have not yet heard about the benefits of using a virtual private network (or a premium DNS service), then now is certainly the time to be catching up. A VPN is a way of accessing web content without having to use the dedicated servers that your information would normally be routed through. It is these servers that recognise where you are and, in the event of content restricted by your location, will automatically block it. With a VPN you can choose from a range of servers in many different countries; for example, if you are in China you can choose a server that is in the USA or Europe. By doing this, you are able to access content that is otherwise restricted. Further benefit of using a VPN is that it enhances your online security. All information sent using a reputable VPN service will be encrypted, so will become harder for unscrupulous persons to interfere with or steal. Your identity cannot be uncovered, and the added benefits of this are hard to ignore. For a small monthly fee you can protect your identity and information, and also get by such powerful restrictions as the legendary Great Firewall of China. The more you think about it, the more you wonder why you have never used one before – it really does make a lot of sense to use a VPN, and make sure you are as invisible as you can possibly be. What Can You do About Hacking?